Here in the Nashville area it’s been a roller coaster of weather patterns this winter. Nonetheless, there’s nothing better on a cloudy, cold, snowy or rainy day than a warm bowl of soup. My hubs makes the best soup. He’s the king of throwing some ingredients into broth and making it explode with flavor. 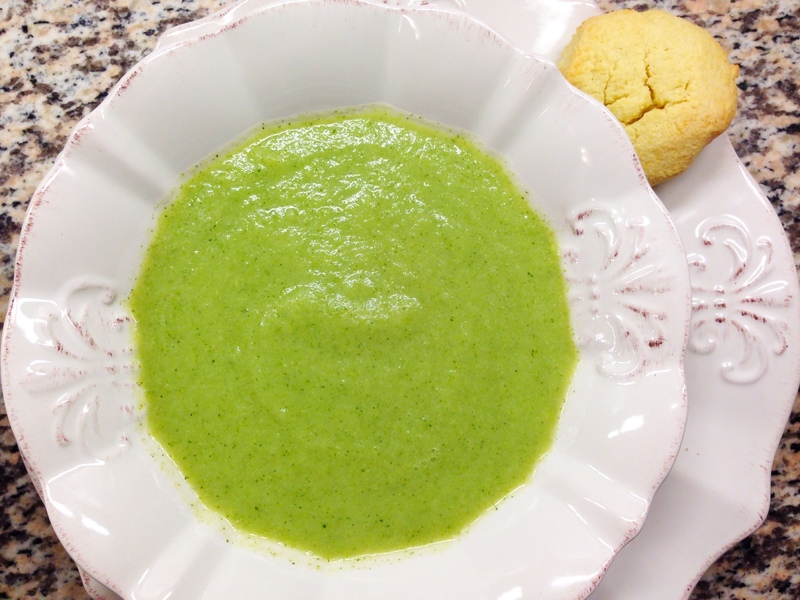 As I was putting together our Deliciously Paleo Meal Plan for March (you can see it here), I came across this recipe from my Practical Paleo book for a “Broc-cauli Chowder,” which I prefer to call Cream of Broc-cauli Soup. It’s super low in fat and high in veggies, which is what I’ve been needing to balance out all of February’s sweet treats. We played around with the ingredients and the method a bit to make it more creamy, and, it’s DEE-LISH! 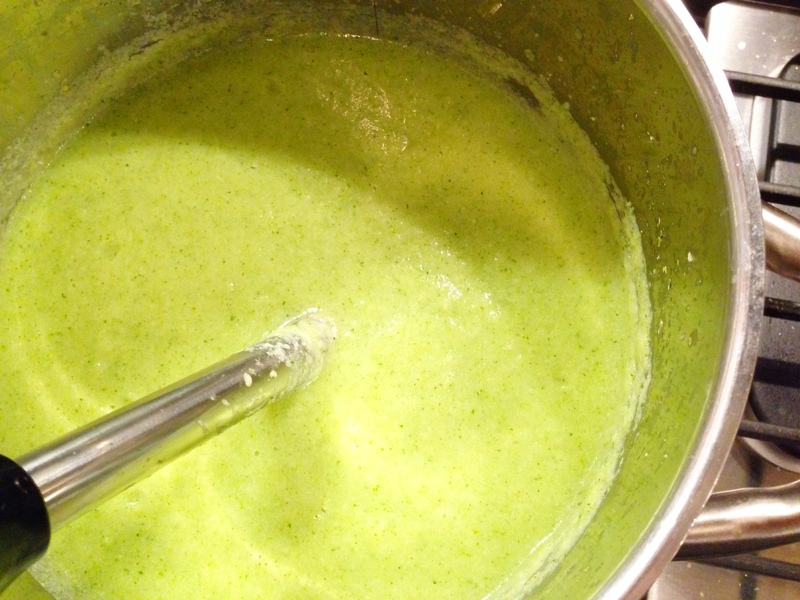 Using a blender, puree the broccoli, cauliflower and garlic with the broth until smooth. Let simmer for about 10 minutes, stirring while it simmers. Add more of the broth 1/4 cup at a time if the soup is too thick. Garnish with the bacon if you’d like. This sounds wonderful! Could you please share it at my Tasty Tuesday linky party going on now? Sure, Penny! I’m heading there now! :) Thanks for stopping in!